Exit Osama Bin Laden ? Osama Bin Laden was dumped in the ocean in the Arab Gulf on May 2. 2011 at noon local time. He was "buried" according to Islamic law, swathed in white after a beautiful little ceremony that lasted 45 minutes. According to official U.S. sources, was "no other options available." This touching respectful treatment is in great contrast to the disrespectful treatment Saddam Hussein got when he was taken. You could not believe it was the worst enemy of the USA was buried. Caught and killed in Abbottabad. On the night to May 2. the U.S. forces hit against a property in Abbottabad outside Pakistan Military Academy Kakul. Two Black Hawk helicopters flew from the airbase Tarbela some 70 kilometers from Abbottabad with crews from the U.S. Navy SEALs. After a brief firefight, the Osama Bin Laden was shot and killed. The body was brought back in one of the helicopters. No photographic evidence has been published. Remember when Saddam Hussein was taken? There were hours of crystal clear videos, lots of photos, and absolutely no could doubt he was finally taken. Therefore, it is striking to note that the videos and photos published from this "battle" and the death of Bin Laden are so bad that they in fact do not prove anything. The body of Osama Bin Laden was in U.S. "custody" for at least 12 hours. For though the operation itself may have been hectic, Americans had the corpse for a long period. First the helicopter probably returned back at Tarbela airbase, then the body was transferred to another aircraft to be flown 2000 kilometers to the Arabian Gulf, to be loaded on a warship where the body was prepared for burial and finally dumped at sea. There were many opportunities to take crystal clear videos and pictures in good light that could proove that the right man was killed. From all these operations are not published a single photo or video that is clear and undisputable. This gives reason to question whether such a video exist and if there is anything true in this story at all. Something is smelling bad here ... It is not rational to believe that such an operation is conducted without irrevocable proof that the man was shot and killed. Considering how the U.S. has previously manipulated important information, the same could have happened here. Therefore, one should raise a few questions. We know some things about Osama Bin Laden. 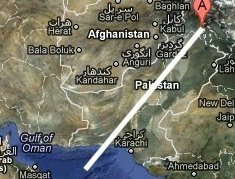 The wealthy bin Laden family in Saudi Arabia has a lot of strong ties to the Republican tops in U.S.
10. september was Osama Bin Laden on Pakistani Military Hospital in Rawalpindi in Pakistan, where he probably was the 11th sept.
Osama Bin Laden denied that he was behind 11 september. USA made the world not display this video because "the video could contain a hidden message." After september 11. 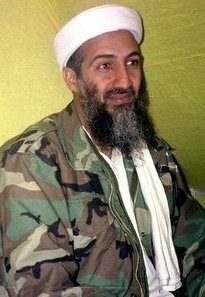 2001 the U.S. forces "found" a video in Afghanistan, in which an obviously fake Osama Bin Laden takes responsibility for the terror. Osama Bin Laden had finished his work for the U.S., and is now at home with his family in Saudi Arabia. His illness is requiring closer monitoring, he is now in private and professional care at a secret location. Osama Bin Laden died a natural death and the U.S. could use an opportunity to make a "victory". "Hundreds of thousands of deaths took place throughout these countries ... and they are attributable to American foreign policy. The crimes of the United States have been systematic, constant, vicious, remorseless, but very few people have actually talked about them. You have to hand it to America. It has exercised a quite clinical manipulation of power worldwide while masquerading as a force for universal good. It's a brilliant, even witty, highly successful act of hypnosis."